Say goodbye to blinds. Researchers at the Harvard John A. Paulson School of Engineering and Applied Sciences have developed a technique that can quickly change the opacity of a window, turning it cloudy, clear or somewhere in between with the flick of a switch. Tunable windows aren't new but most previous technologies have relied on electrochemical reactions achieved through expensive manufacturing. This technology, developed by David Clarke, the Extended Tarr Family Professor of Materials, and postdoctoral fellow Samuel Shian, uses geometry adjust the transparency of a window. The research is described in journal Optics Letters. The tunable window is comprised of a sheet of glass or plastic, sandwiched between transparent, soft elastomers sprayed with a coating of silver nanowires, too small to scatter light on their own. But apply an electric voltage and things change quickly. With an applied voltage, the nanowires on either side of the glass are energized to move toward each other, squeezing and deforming the soft elastomer. Because the nanowires are distributed unevenly across the surface, the elastomer deforms unevenly. The resulting roughness causes light to scatter, turning the glass opaque. The change happens in less than a second. It's like a frozen pond, said Shian. "If the frozen pond is smooth, you can see through the ice. But if the ice is heavily scratched, you can't see through," said Shian. Clarke and Shian found that the roughness of the elastomer surface depended on the voltage, so if you wanted a window that is only lightly clouded, you would apply less voltage than if you wanted a totally opaque window. "Because this is a physical phenomenon rather than based on a chemical reaction, it is a simpler and potentially cheaper way to achieve commercial tunable windows," said Clarke. Current chemical-based controllable windows use vacuum deposition to coat the glass, a process that deposits layers of a material molecule by molecule. It's expensive and painstaking. In Clarke and Shian's method, the nanowire layer can be sprayed or peeled onto the elastomer, making the technology scalable for larger architectural projects. Next the team is working on incorporating thinner elastomers, which would require lower voltages, more suited for standard electrical supplies. Harvard's Office of Technology Development has filed a patent application on the technology and is engaging with potential licensees in the glass manufacturing industry. Bill Wexler, longtime follower of what he bluntly refers to as "the REFR stock fraud", is back with a new retrospective on the follies posted to the Yahoo! REFR message board. By way of editorial comment, I should note that there really is not much remarkable about overly optimistic posts from the year 2000, particularly during the spring and summer, when the reality of the bear market hadn't really set in yet. What is remarkable, though, is that even to this day, you see the same kind of talk, from mostly the same people (even as the aliases have changed over time), backed up by the same utter lack of results from the company. The only difference, really, is that the stock has not gotten crushed as badly in more recent years. Time will tell if the line can continue to hold long enough to the company to place the next round of shares at a useful price. "Buy REFR, it's the best buy on the market and has more potential than any other stock I know of..."
"I just wish REFR would pull back one more time (maybe mid 20's?) so I can pick up another few thousand shares. Then it's off to the outer-banks for unlimited Coronas and hot crab balls..."
"I'm going to buy waterfront in the islands with all the money I'm gonna make on REFR..."
"There are not a whole hell of a lot of customer sell orders out there, people are holding..."
"I think we bagged the elephant..."
"This stock is headed to the moon soon..."
"There are no shares for sale - you are a dead duck..."
"Recent scale up by emulsion suppliers, advanced commercialization by licensees and hiring of new employees to handle new licensee applications all points to this occurring. That is why longs are not selling..."
"I bought 1000 additional shares this morning...I have been accumulating since 1998...The company has never looked better or more grossly undervalued..."
"NO ONE is selling! Too many GOOD things happening with licensees..."
"Why the Shorts will lose a lot of money..."
"There's no fundamental reason to sell. SPD products are still coming out..."
"But if I were a trader where do I see the biggest gain? LONG!" "Asensio and his CONSPIRATORS are going to be here until LONGS decide to sell. ...and THAT doesn't look like ANYTIME BELOW $50 a share!!!" "LONGS ARE FEEEEEEEELING THEIR POWER!!!" 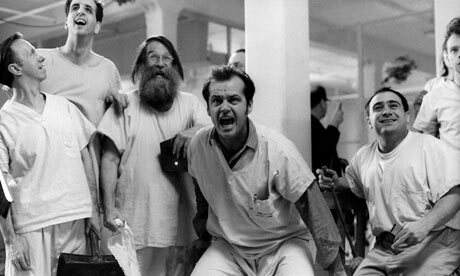 "YOU are TRAPPED IN REFR, because YOU CAN'T get LONGS to sell!!!" "Where are the promised windows? What kind of stupid question is that?" "REFR SHORTS FAIL TO GET LONGS TO SELL!!" "Longs are BUYING, NOT SELLING!!!" The price going down represents to us just one more (maybe the last) opportunity to own one of the great technologies of all time at a bargain price. "My advice to YOU is to quickly sell/cover on all OTHER stock, take out a maximal mortgage on your house (if applicable) cash in all life insurance policies and so on. Get as many credit cards as you can and take out advances against them all and then short every share of REFR you can leverage." REFR had closed that weekend at $27 a share, and three weeks later would peak at $29 before going into a tailspin from which it has never truly recovered. Oh, I should add that the call was not made by Bill, but by someone posting as "B_IN_K" (a reference to a character from Piers Anthony's Xanth novels). And I should also add that Bink's call was made entirely out of sarcasm, as he is, in fact, one of the loudest proponents of REFR on the message boards. He continued in that very posting: "Then, if I am right, please tell us each time you get margin calls or your car is reposessed." It's really the sweetest kind of irony when someone who sets out to deliberately give the worst possible advice ends up making a home run call. You'd think the experience might be a bit humbling to Bink, but on that score you'd be wrong. Bink is back on the boards and posting like there's no tomorrow. Which makes one wonder if, for REFR, there is. Today I thought I'd webify a periodic posting that Bill Wexler makes on the SI and Yahoo boards. It's called "REFR's Uninterrupted History of Fraud" and is a pretty damning display of what REFR has said over the years, that has ultimately amounted to nothing. 1995: "I am confident that products using SPD film technology will begin to appear in the near future." 1998: REFR takes the year off, apparently. 2000: "As a leading integrator of businesses and technologies within the $8 billion replacement window/door industry, we are very enthusiastic about the potential for SPD light control technology to enhance the value of our custom vinyl window products," commented Steve Hoffman, Chairman and Chief Executive Officer of ThermoView Industries, Inc.
2001: The REFR stock fraud comments on short-selling, makes misleading statements about trading activity in REFR stock...and mentions itself and Qualcomm in the same breath, in a not-so-subtle and laughable implication that the fraudulent Research Frontiers can generate revenue from its worthless patents much the same way legitimate companies such as Qualcomm exploit their valuable intellectual property. 2002: "In his address to shareholders, Robert L. Saxe gave an overview of the Company’s progress and reconfirmed that based upon projections given to Research Frontiers by several of its licensees, it was a reasonable goal to expect the Company to have its first full year of profitability in 2003." 2002: The REFR stock fraud announces "backlog of customer orders"
2004: "Research Frontiers Incorporated announced today that it will write off its remaining investment in SPD Inc..."
2005: "This funding will help us continue to improve the performance of SPD technology, and to help our 34 licensees across the world roll out SPD chemical, film and end-products..."
Revenues from commerical SPD products from 1992 to date: $0. LOUISVILLE, Ky., Sept. 26 /PRNewswire-FirstCall/ -- ThermoView Industries, Inc. (Amex: THV), which designs, manufactures and markets home improvements, today said the company and its subsidiaries filed to reorganize under Chapter 11 of the U.S. Bankruptcy Code on September 26, 2005. ThermoView and its subsidiaries employ over 700 people in 17 states with corporate headquarters located in Louisville. The Company's bankruptcy filing was the result of increasing pressure from high debt levels, including senior debt coming due in mid-2006. The Company has been struggling to overcome these pressures for some time and had achieved several financial restructures with its senior lenders in the last two years. However, recent conditions had made it impossible to continue operating outside of bankruptcy protection. The Company enters Chapter 11 with an interested buyer, an affiliate of Milestone Capital Management, LLC, which has already executed an Asset Purchase Agreement with the Company, subject to the auction bidding process and court approval. The Company also expects court approval of a $750,000 loan from an affiliate of Milestone Capital to shore up its liquidity during the bankruptcy proceedings. The Company had been seeking various forms of a restructure, including an infusion of capital, a buyout of the senior lenders' positions, sale of part or all of the company's assets to a strategic buyer, or an internal voluntary restructuring by all stakeholders. Company officials stated they expect this financial restructuring to result in ThermoView Industries becoming a stronger, more efficient company. ThermoView CEO Charles L. Smith stated, "We voluntarily filed for reorganization under Chapter 11 in the best interests of our customers, suppliers and the 700 families of our ThermoView employees. It is our intention and belief that we will continue to operate as near normally as possible during this time. We will continue to perform all contracted work and generally do whatever it takes to make our customers happy. It is crucial to the success of our reorganization that we continue our high standards of customer satisfaction throughout this process. We look forward to emerging from this reorganization a stronger company with a promising future." Mr. Smith further indicated that it would be contacting all vendors and other business partners in the very near future about the details of continuing relationships during and after the reorganization. "We are thrilled to have the opportunity to work with the management team of ThermoView to reorganize the company and emerge from bankruptcy," said Murry N. Gunty, Managing Partner of Milestone Capital. "Unfortunately, though the business is very sound, they were operating under a legacy capital structure that inhibited the company's performance and opportunities for growth. Upon completion of the transaction, we look forward to growing the business with management." ThermoView also stated that its Board of Directors resolved on September 22, 2005 to inform the American Stock Exchange that ThermoView would not be able to regain compliance with the Exchange's continued listing standards within the extension provided by the Exchange. As previously communicated, ThermoView received notice from Exchange staff by letter of April 28, 2005 indicating that the Company was below certain of the Exchange's listing standards. ThermoView was granted the opportunity to submit a plan of compliance to the Exchange, and on May 31, 2005 presented its plan to the Exchange. In a June 28, 2005 letter, the American Stock Exchange accepted ThermoView's plan of compliance and granted the Company an extension of time to regain compliance. However, the Company has today informed the Exchange of its inability to regain compliance with the continued listing standards. Recent charges for impairment of goodwill, as well as the Chapter 11 reorganization, ultimately necessitated this decision. The Company expects the Exchange to begin delisting procedures immediately. About ThermoView Industries, Inc. ThermoView is a national company that designs, manufactures, markets and installs high-quality replacement windows and doors as part of a full-service array of home improvements for residential homeowners. ThermoView markets home improvements in 17 Midwest and Western states under well-known regional home center brands that include Thomas, Primax, Rolox, Leingang, ThermoView and THV. All of these brands are consolidating under a national brand, "THV, America's Home Improvement Company." Additional information is available at thv.com. Milestone Capital Management, LLC, is a Washington, DC based private equity firm with $88 million of capital under management. Milestone seeks investments in a range of industries, including manufacturing, distribution, health care, restaurants and specialty retail. Additional information is available at www.milestonedc.com. Safe harbor statement Statements in this news release that are not descriptions of historical facts are forward-looking statements that are subject to risks and uncertainties. Words such as "expect," "intends," "believes," "plans," "anticipates" and "likely" also identify forward-looking statements. All forward-looking statements are based on current facts and analyses. Actual results may differ materially from those currently anticipated due to a number of factors including, but not limited to our history of operating losses, anticipated future losses, competition, future capital needs, the need for market acceptance, dependence upon third parties, disruption of vital infrastructure, general economic downturn and intellectual property rights. All forward-looking statements are made pursuant to the Securities Litigation Reform Act of 1995. Additional information on factors that may affect the business and financial results of the Company can be found in filings of the Company with the Securities and Exchange Commission. Contacts: David A. Anderson, Chief Financial Officer, ThermoView Industries, Inc., 502-968-2020.
use Research Frontiers Incorporated’s (NASDAQ: REFR, $27.57) SPD technology. traded companies dedicated to the home improvement and renovation industry.” In fact, ThermoView has a market value of approximately $7.8 million, a negative net working capital and negative tangible stockholders’ equity, and recently was unable to meet its debt obligations. In March 2000 ThermoView issued REFR 12,500 of its shares to pay its initial REFR license fee. ThermoView is no fallen angel. It is and it began as a low-level penny stock. In 1997 ThermoView consummated a reverse merger with a shell company whose prior controlling shareholder, and prior officer and director, David P. Yeaman, was in 1999 convicted of securities fraud, wire fraud and conspiracy. deals for the manufacturing and sales of SPD products ranging from sunglasses to aircraft cabin windows. In 1989 REFR announced the successful testing and planned commercialization of SPD sunglasses. In 1994 Automotive News reported that REFR was close to selling SPD self-dimming rear-view mirrors. In 1997 REFR claimed profits were possible in 1998. REFR is 35 years old. Neither REFR nor any of its licensees have ever sold an SPD based product. REFR has also announced three licensing deals to manufacture SPD emulsion since 1999 and five licensing deals to manufacture SPD film since 1995. We found no evidence that any SPD emulsion or film has ever been sold. Starwood Media Group, a small firm in lower Manhattan. technology personnel firm, Infocall Communications Corp. Section 17(b) of the Securities Act. Its April Fools day everyday at REFRMADNESS!! BERLIN, GERMANY -- (Marketwired) -- 04/02/14 During his keynote address today at the IDTechEx Energy Harvesting Conference in Berlin, Germany, Joseph Harary, President and CEO of Research Frontiers, announced that Teknoglass Solutions LLP has acquired a license from Research Frontiers Inc. to make and sell SPD-SmartGlass architectural smart window products in the United Kingdom and Republic of Ireland. The non-exclusive license grants Teknoglass the right to manufacture and sell SPD-SmartGlass architectural products including windows, doors, solar shading screens, curtainwalls, skylights and skylights, and provides for a 15% royalty to Research Frontiers on sales of licensed SPD-SmartGlass products. The minimum annual royalties and other fees and license terms were not disclosed. Research Frontiers (NASDAQ: REFR) is the developer and licensor of patented SPD-Smart light-control film technology. SPD-Smart light control film technology transforms widely used products -- windows, skylights and more -- into products that instantly and precisely control the light, glare and heat entering a home, office, or vehicle. SPD-SmartGlass is instantly tunable to an infinite number of light transmission states regardless of window size, and easily adapts to individual preferences using control devices ranging from basic dimmer switches and photosensors to those that are integrated into a smart home or office intelligent control system. These unequalled performance characteristics help optimize energy-saving daylight harvesting benefits and many other desired outcomes such as increased security, noise reduction and protection from harmful ultraviolet light. Robert Hudson, Technical Director of Teknoglass Solutions, noted: "The global glass industry is entering a new era where high-performing smart glass products will satisfy longstanding market needs and new ones ranging from energy efficiency to distinctive aesthetics. Our agreement with Research Frontiers, and extensive architectural contact base, reflect a strong belief that SPD-SmartGlass is a strategically-important technology offering tremendous functionality and other benefits to the user. It offers excellent sales potential for our company." Joseph M. Harary, President and CEO of Research Frontiers, noted: "Buildings consume over 40% of energy and 73% of electricity. Imagine transforming the skin of a building so that it adapts to changing environmental conditions. Now combine this with sophisticated and custom design and engineering provided by Teknoglass Solutions. It is for these reasons, and their long-standing experience with SPD-SmartGlass technology in some of the world's most prominent architectural uses of SPD-SmartGlass, that we welcome Teknoglass Solutions as a licensee and are confident in their success to continue to make homes and buildings more beautiful, energy-efficient, and comfortable for occupants." Teknoglass Solutions is a leading authority on the design, manufacture and installation of electronically switchable glass. Its founders have over a decade's experience the engineering, design, manufacturing and installation of Research Frontiers' SPD-SmartGlass architectural products in Europe and the Middle East. In addition they are recognized as leading innovators in the field of environmental engineering, HVAC and bespoke natural ventilation systems. The use of intelligent glass (SPD) in conjunction with specialist natural ventilation is a leading initiative in new building designs in the United Kingdom. Teknoglass Solutions LLP is a dedicated manufacturer of electronically switchable glass. These technologically advanced glass products are quickly advancing from niche to mainstream offerings with particular value in the commercial, residential, retail, security, transport, healthcare and hospitality sectors. The company's main products are SPD-SmartGlass for solar control and LC SmartGlass for privacy. Teknoglass products encompass a wide range of glass and plastic configurations and the company has distinctive competencies with smart glass products that are curved, colored, fire-rated, anti-reflective, anti-X-ray and impact-resistant. Teknoglass also offers projection screens that use smart glass and products that have touch screen capability. Teknoglass Solutions provides extensive installation training and service, and is known for its commitment to product quality and customer service. Teknoglass Solutions has its headquarters, manufacturing, finance and R&D centres in Portsmouth and Colchester, and has commercial, sales and technical offices throughout the United Kingdom. With the intention of concentrating its products and markets, Teknoglass only produces electronically switchable glass products and, because of continued research and development initiatives, it is expanding its range of smart glass products to meet the needs of growing specialist markets in the architecture, transport and medical fields. Each piece of SPD-Smart controllable glass produced is bespoke made to meet and exceed its clients' needs. What makes Teknoglass different is that it can offer a complete 'turnkey' service, not only the glass but with its design and support staff, can offer framing systems, installation, controls, electrical wiring and most importantly customer aftercare. For more information, please visit our website at www.teknoglass-solutions.co.uk. REFR back on REG SHO list. Sadly, the celebrity who should be investigated right now is far more dangerous than an entertainer who doesn’t understand penny stocks. Jordan Belfort knows penny stocks all too well, and that’s why he has concocted scheme after scheme to separate poor people from their hard-earned savings. As I wrote about HERE, I’m disgusted by the way people celebrate his life as “The Wolf Of Wall Street” has now made nearly $400 million and I get dozens of emails every day from his supporters saying I’m just jealous. To be clear, I don’t care if he had made $4 trillion — I will NEVER respect scam artists and their schemes. I make my money the legal way from trading stocks and teaching others and unlike Belfort’s customers, my customers are VERY happy and I actually have thousands of testimonials I still need to post publicly, I’ve just been overwhelmed. OK you understand I detest scammers like Jordan Belfort, but why should he be investigated? As I’ve been trying to get the word out — see my Page Six article here — Belfort has been underpaying his victims to whom he still owes nearly $100 million while enjoying a lavish lifestyle literally at their expense. Belfort was supposed to pay back 50% of all his book/movie profits to victims, and he’s gone on record by saying that he will instead give 100% of book/movie profits back. I made the case the government should also include his DVD/seminar profits in the payback since that’s the bulk of his earnings these days and is likely in the millions if not tens of millions of dollars given the exposure from the success of his movie. Belfort denies he is still obliged to return half his income. “It’s the most idiotic thing ever,” he insists, allowing a rare flash of anger to ruffle his practiced charm. Some will say Jordan Belfort served his time so he should be free to make money on his own now, but I say his victims from his previous scam deserve to be paid back before he lives luxuriously again. 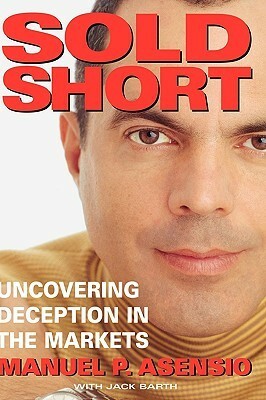 Belfort has been pitching himself as a master salesman and that the only thing he did wrong before was that he was selling scams…he doesn’t want you to read or share articles like this written by those who prosecuted him detailing HOW he scammed his last company’s customers because then you’ll realize he’s not a master salesman, he’s a master thief. 1. Create IPO Stock: The first thing Stratton Oakmont needed was a business to sell, and the definition of “business” was very flexible. A judo school, a bagel maker, a newfangled water purifier, or a recovering alcoholic selling shoes out of the trunk of his car would do. What was needed was not so much an actual business as a business entity with a story that could be converted into publicly traded shares of stock through a Stratton initial public offering. An important element of the scheme was that the Stratton IPO stock was not really sold to the public—it was sold to Stratton. Securities laws forbid underwriters like Stratton from buying more than a small percentage of the IPO stock they issue. To avoid this roadblock, Stratton sold all of its IPO stock to friends (nicknamed “flippers”) like Madden, who immediately sold the stock back to Stratton for a small profit. The IPO stock was usually issued to the flippers at $4 per share, and then sold back to Stratton for $4.25 per share. This was a pretty nice deal for the flippers, who could pocket $50,000 or so from an IPO without breaking a sweat or risking a loss. 2. Line Up the Victims: Suckers aren’t born, they’re trained. Stratton Oakmont’s salesmen would first gain the confidence of investors by letting them make a small profit on one or two Stratton IPOs. Once trust had been established, the Stratton salesmen would inform these customers that a really hot IPO was coming soon with a $4 issue price. Like all Stratton IPOs, the stock’s price was expected to take off when it began trading in the aftermarket. An excited customer with $100,000 of savings might authorize the Stratton salesman to buy 25,000 shares of the IPO stock, and then transfer the $100,000 to his Stratton account. By totaling up all such commitments, Jordan Belfort knew exactly how much buying power Stratton’s customers had. 3. Bait and Switch: Shortly before an IPO, the Stratton salesmen would call these customers and inform them that the IPO was so hot that the salesmen could offer only a (very) few shares at the $4 IPO price. However, the salesmen could create purchase orders to be executed as soon as the stock began trading on the open market. Many customers assumed that such orders would result in stock purchases near the $4 issue price, so they simply agreed. Some balked at giving the salesmen permission to invest their money without knowing the purchase price, or simply refused to buy stock in the aftermarket. The Stratton brokers could have just placed orders in these customers’ accounts without their permission, but they rarely did. Unauthorized orders were more likely to trigger complaints to regulators, and the move would have violated some unofficial boiler-room code of honor. These guys took pride in their ability to talk suckers into parting with their life savings. 4. Market Manipulation: Stratton Oakmont could have made millions of dollars just by selling its customers stock in nearly worthless companies for $4 per share, but after a couple of such IPOs, investors and regulators would have caught on. Instead, Jordan Belfort used the stock market to camouflage his theft. Let’s say that one million shares of the IPO stock had been issued, and Stratton’s customers had committed to buying $12 million of the stock in the aftermarket. Belfort would therefore want the stock price to rise from $4 to $12 per share before selling it to them. Having bought all of the IPO stock back from the flippers, Belfort and Porush could make the stock trade in the aftermarket at any price. The simplest way to do so was to buy and sell shares between Stratton accounts at increasing prices, but that would have been too obvious. The same result could be accomplished by having friends buy small amounts of stock using “market orders,” which buy shares at the lowest price offered from any seller. The only seller was Stratton Oakmont. As soon as aftermarket trading commenced on IPO day, the friends of Belfort and Porush started placing these small market orders. Stratton would simultaneously sell its stock using “limit orders,” which offer stock for sale only above a specified minimum price. After each sale, Stratton would place another (sell) limit order with a slightly increased minimum price, and the friends’ market orders would execute at each higher price. What the market recorded was a steady progression of trades at $4.25, $4.50, $4.75, all the way up to the $12 target price. The run-up from $4 to $12 could be accomplished in minutes. This was a common first-day trading pattern for legitimate hot IPO stocks during the 1990s, so the manipulation wasn’t obvious. 5. Sell High and Shut the Door: When the IPO stock price hit the $12 target, Stratton executed its customers’ buy orders. This was the payoff moment when Stratton got the victims’ money and the movie’s over-the-top partying began. Had customers holding the inflated stock tried to resell it quickly on the market, they would have found almost no real buyers, and the stock price would have plummeted about as quickly as it had risen. Such an early price crash was rare for legitimate IPO stocks and would have attracted regulatory scrutiny and scared away future Stratton victims. So Stratton made a practice of supporting the high price for a while—usually about a month—by buying any of its IPO stock offered for sale on the market. But letting customers sell their stock for $12 while Stratton Oakmont was the main buyer would defeat the entire purpose of the scheme; the victims had to be discouraged from selling too soon. Stratton brokers could usually do so by heaping more hyperbole onto investors who called to place sell orders. Now I don’t know all the specifics of his current income, which is why instead of me saying he should go back to jail, I’m saying the authorities should investigate him. He’s living well, earning hundreds of thousands of dollars or even millions of dollars per month — after all the idiot admitted on Facebook he’s become exhausted from all his speaking appearances…do the math, add up all those $30k-$80k speeches and remember his marketing DVDs also sell for thousands of dollars each — and paying back a lousy $3,000/month to his “old life” victims. I put “old life” in quotes because when he want on CNN, Belfort made sure to differentiate his “old life” scam from his new “honest” life of teaching…my guess because his lawyer instructed him to so the government couldn’t get their hands on his “new life” earnings. I encourage you to spread this blog post and this Wall Street Journal post detailing Belfort’s scam and if there’s enough of a public outcry, he will be investigated again and my guess is we’ll find millions, if not tens of millions of dollars in his bank accounts that should be going to his “old life” victims. This entry was posted in Celebrities, Penny Stock Psychos, Penny Stock Scandals and tagged Jordan Belfort Earnings, Jordan Belfort Investigation, Jordan Belfort Seminars, The Wolf Of Wall Street Earnings, The Wolf Of Wall Street Investigation on March 23, 2014 by Timothy Sykes. REFRMADNESS breaking news. There are no float outstanding. No one owns REFR except me and my hedge fund friends. There is no float outstanding. We just finished buying up all available shares. We will be putting what is almost the entire float in trust accounts for chartitable donations. This is the last post.. Almost a double feature since Dr. Joseph D. Ben-Dak was also involved the the stockfraud Turbodyne Technologies, Inc.
1. MARK BERGMAN - Crim-Del-A-Crim of stock promoters. Mark was an analyst for the notorious boiler Room D.H. Blair nasdadr.com and soon graduated to V.P. of Investor relations at XYBERNAUT. XYBERNAUTs human Resorses Department was not to swift since Bergman had claimed to be a PH.D which turned out to be a academic fraud which was revealed in the $15 Million "Pump and Dump" Stock Fraud Case Securities and Exchange Commission v. Environmental Solutions Worldwide. that Bergman indeed was no PH.D but did have a degree in stock fraud sec.gov . Bergman had recommended XYBERNAUT through Fab Capital Corp findarticles.com and Hampton-Porter findarticles.com . Hampton Porter had the misfortune of having of having eight of their brokers indicted for securities fraud usdoj.gov which involved the stock Enpoint (ENPT) which just happened to be a reseller of XYBERNAUT computers. Bergmans greatest accomplishment was Access1Financial.com which also put out the strong buy on XYBERNAUT. Access1Financial was being run out of 2224 Main Street in Santa Monica California which is also the address of career conman, criminal and offshore Boiler Room con artist Regis Possinio. XYBERNAUT said that they did not endorse the report which seemed to be a total lie since XYBERNAUT put a press release out announcing the bogus 'buy' recommendation predicting its shares would double in six months and also put it on XYBERNAUTs web site. CHRISTINA IN "XYBERNAUT IS UNDER VALUED"
XYBERNAUT PAID CHRISTINA S. KOHLHAAS A/K/A CHRISTINA SKOUSEN, (individually and doing business as CSK Securities Research). Christina had the misfortune of being charged with securities fraud. Christina a self-styled "analyst" with a high school education and no formal securities training, wrote research reports touting eight microcap companies. Skousen's reports for seven of the companies contained false and misleading financial and stock price projections. The projections lacked a reasonable basis because, among other reasons, all of the companies had poor financial track records, and four of the companies were the subject of going concern audit opinions. Christina settled with the SEC but alas did not have to pay the judgement because of a plea of poverty. A SLIDING SCALE BASED ON HOW HIGH SHE COULD HYPE THE STOCK. Price of $18.00 per share. Must we say more accept why was not XYBERNAUT and the other companies which paid him also charged with securities fraud. Donner Corp. International Issues Speculative Buy Recommendation On XYBERNAUT Corporation. Donner Corp. International Reiterates Its Buy Recommendation On XYBERNAUT Corporation. Donner Corp. International Announces Investment Opinion on XYBERNAUT Corp.
Donner Corp. International Reiterates Speculative Buy Recommendation On XYBERNAUT Corporation. Donner Corp. International Upgrades to Buy Recommendation on XYBERNAUT Corporation. Correcting Donner Corp. Headline; Announces Investment Opinion on XYBERNAUT Corp. Sted Xbernaut Corp.
4. Dodi Handy A/K/A Dodi Zirkle- moving up on the charts. Dodi started her career working for criminal and conman John Manion of Continental Capital and Equity. which changed its name to Madison and Wall Worldwide. Dodi's most famous client todate was GenisisIntermedia followed by the massive fraud known as Esafety. Best I can tell is Dodi is employed by these companies to lie about their true condition and play spin Docter opn the financial community. In just about every case every stock she has been involved in has headed toward Zero. Elite Financial Group is XYBERNAUTs IR. Here is a favorite of mine. "In our professional opinion, GenesisIntermedia is such a company." "Furthermore, we do not advocate "boiler room" tactics for increasing awareness of our client companies, however we do engage in telemarketing activities to pro-actively educate the professional investment community (i.e. retail brokers, institutions and analysts) on those companies whose fundamentals and technicals meet the expressed interest criteria from individuals within that community. Our financial relations executives are highly trained and effective marketing professionals who understand the sensitivities involved in working in a highly regulated environment and one in which they exhibit only the highest levels of responsibility, integrity and professionalism. Tours of our facilities are common and encouraged." 5. EDWARD NEWMAN - ANYONE REMEMBER ABOUT $27 AGO THAT NEWMAN SAID THAT AN AUDITORS ON GOING CONCERN WARNING WAS JUST A "FORMALITY"? Edward Newman hired many fraudulent promoters to hype the stock. Ed and Mark are a little off the mark in 1998. SAN DIEGO -- Move over Tommy Hilfiger. The next wave of fashion just might come from XYBERNAUT's (XYBR:Nasdaq - news) wearable computers -- at least in the corporate world. XYBERNAUT's Mobile Assistant IV is a two-piece wonder: A portable, two-pound computer that can be worn around the waist, with a headset that has a screen so the user can navigate the Web either by mouse or by voice. MA IV, which the company will unveil this week at the COMDEX trade show in Las Vegas, will create a revenue surge, XYBERNAUT's director of investor relations Mark Bergman said. The Fairfax, Va.-based company expects 1999 revenues to come in between $30 million and $40 million. "That's a conservative estimate, too," Bergman told a room of money managers. "Internally, management is expecting something closer to about $90 million, but those are the guidance numbers we're giving to the Street." Not bad, considering XYBERNAUT made $813,000 in revenue in during '97, down 26% lower from $1.1 million in revenue in '96.
. WAMEX MOB CONNECTED ASTROLOGY FUND ALSO FOND OF XYBERNAUT. SAYS BUY ALL THREE TO ROUND OUT YOUR MAD MONEY PORTFOLIOS. "Absolute Future (AFTI), Mountain Province (MPVI), Stox.com (V.URL) and XYBERNAUT (XYBER)." Will stock portfolios return +10%+ next year? Very possibly many will. Still, we recommend caution and avoiding much margin buying. January is especially tricky as it celebrates national bankruptcy month, a Lunar eclipse and a presidential inauguration. As we continue to see more traditional investing, value (Saturn) AND Growth (Jupiter) will both matter. Speculators and gamblers ONLY: Choose either of the following group of four stocks for a very aggressive January play. Buy your basket of stocks with your mad money that you would ordinarily spend and lose in a weekend in Las Vegas or Atlantic City only. Sell between the January 9th Lunar Eclipse and January 24 Chinese New Year of the Snake, or 150% profits; whichever comes first. Celsion (CLN), International Hi-Tech Industries (IHITF) Stem (STEM) and USIX. Personally I am not playing this game this year, but instead raided my children’s penny bank to buy a little more IHITF. RAM Capital Announces Investment Opinion on XYBR; Cites Strong Expected Revenue Growth. PALM BEACH, Fla.--(BUSINESS WIRE)--Dec. 1, 1999--RAM Capital Management of Palm Beach Florida, has initiated an investment opinion on XYBERNAUT Corporation, (NASDAQ: XYBR). We believe that the company has entered into what may be their greatest period of accelerating revenue and earnings growth, making the stock undervalued at the $4.00 level. The DCH thread on SI is truly an education for all that would like to study stock fraud. The SEC and regulators continue to look the other way. "Access 1 Financial offers undervalued companies a truly unique opportunity. Its highly respected team of Wall Street analysts work in concert with retail and institutional sales professionals to position your company within an increasingly competitive investment environment. It has been my experience that typical public relations firms do not have the kind of research or market credibility to attract serious, long-term investor following. By combining top-notch research with a highly effective distribution system, Access 1 Financial offers the first comprehensive solution for positioning small companies within the public markets." NYSE Despite the fact that the market has beat all expectations in the past 10 years, companies within the micro-cap group are finding it increasingly difficult to position themselves within the mind-boggling array of investor requirements and expectations. As mergers and acquisitions within the securities industry continue at a rapid pace, and as compensation mechanisms and regulations provide incentives to trade in the larger, more liquid securities, small and micro-cap companies will find it increasingly difficult to achieve premium or even fair market value. Competing for investor mind share - especially for companies with limited liquidity or a disparaging track record is no mean feat. Access 1 Financial was formed as a means of providing these companies with sophisticated access to an important array o financial, research, and marketing network resources traditionally available only to larger, well-positioned companies. As the market continues to achieve new highs, investors are beginning to re-think their overall investment strategy. Even with the tremendous gains in blue chip and over-the-counter issues, smaller capitalized companies have lagged behind their larger counterparts. We at Access 1 Financial believe that over the next several years increasingly sophisticated investors seeking superior returns will become more active in smaller cap issues (under $100 million) as long as the underlying fundamentals support a higher probability of substantial return. However, these companies have significant liquidity issues and greater inherent risk and uncertainty. Unless a company is expertly positioned within the market, its fundamental value and competitive advantages will more than likely continue to be ignored by major institutional and retail buyers. Hundreds of new companies are added to the markets each year. With thousands of small-cap companies from which to choose, it's no wonder that a typical fund manager never even sees many of the most compelling stories. Portfolio managers typically receive a press kit or an invitation to lunch from an investor relations firm. It usually ends up in the waste basket. Why? The answer is simple. Investor relations and promotional firms do not have the capability to represent sophisticated stories to institutional managers; and typically lack credibility with influential market makers and high net worth individuals. Although many of these firms advertise extensive databases and contacts, the simple fact is, they have no in-house research, or "first call" capabilities. In reality, their direct marketing attempts at accessing fund managers and brokers by phone or with mail-outs have minimum or short-term impact - missing the real objective of serious, long-term investor following. Wonder if Arnold beats Gray Davis in the recall election in California? Mercury News Sacramento Bureau Mercury News Archives Gov. Gray Davis SACRAMENTO - Three days after taking a $10,000 donation from its founder, Gov. Gray Davis traveled to Southern California earlier this year to promote a high-tech company that is little known in the industry but has drawn significant attention from federal regulators. Documents obtained by the Mercury News show that Davis' decision to favor Kanakaris Wireless was curious for a number of reasons: Despite its claims of industry influence, the firm is an obscure, money-losing business run by an aggressive self-promoter who paid $25,000 in 1999 to settle charges of stock fraud by the Securities and Exchange Commission (SEC). Davis aides rejected suggestions of a link between the political contribution and the Democratic governor's appearance. They said the governor often seeks to support California companies but didn't know of the specific concerns about Kanakaris Wireless. But the administration's efforts in this case were extensive. Aides touted the governor's appearance at a January Web cast sponsored by Kanakaris Wireless, provided the company with Davis quotes to use in a corporate press release and promoted the event on the state Web site. But Kanakaris was also accused of fraud three years ago by federal investigators as he was trying to get traction for his struggling business. According to a complaint from the SEC, the problems arose after Kanakaris agreed to buy out concerned stockholders who then had their reimbursement checks bounce. To help get out of the hole, Kanakaris sold $1.3 million in stock and used part of that money to pay off the fleeing investors. But in an effort to make the stock sales more attractive, Kanakaris and his company falsely claimed that the firm had deals with AOL and Microsoft and the backing of prominent business leaders, the SEC said. In the end, Kanakaris and his business partner both agreed to pay a $25,000 fine to settle the case without admitting wrongdoing. Kanakaris blamed the problems on the attorney who he claimed ``ripped his company off'' and said his firm has learned from its mistakes. Despite the company's troubles, Davis agreed to travel to Orange County in January to take part in the ``Orange County Next Generation Internet & Technology World Wide Webcast,'' which was billed as a way for Davis to promote high tech. Instead, the Web cast turned out to be a poorly produced interview with Kanakaris that was never carried live as promised. Davis took part in this event just three days after his campaign received a $10,000 check from Kanakaris. Kanakaris also gave Davis a $15,000 donation last year that Kanakaris failed to properly report to state or local elections officials, documents show. The Davis campaign properly reported both contributions, as well as a third contribution of $3,300 from Kanakaris in February. In an interview, Kanakaris said he personally badgered the governor for weeks, cornering Davis at a West Hollywood party to show off his pocket PC technology. ``I think it was more the personal appeal to him than a $10,000 contribution,'' Kanakaris said. Steve Maviglio, the governor's press secretary, said that Kanakaris promoted the event as something more than it turned out to be and that -- despite normal background checks done for state events -- administration officials knew nothing of the owner's past problems until contacted by the Mercury News. A quick search of public records would have revealed a series of potential concerns. Over the years, Kanakaris has launched a foundering online bookseller, started an Internet TV station that primarily shows B movies, laid the groundwork for a singles Web site and tried to create a market for delivering video to pocket PCs. None of these efforts has been a particular success. But Kanakaris has labored hard to get his company noticed. After the Sept. 11 terrorist attacks, Kanakaris issued a press release. At times the achievements Kanakaris has touted in press releases have proven to be exaggerations. Kanakaris trumpeted a plan to buy the Los Angeles Film School from two of his top investors, but the deal quietly collapsed. He once claimed to have had 18 million hits on his Web sites in a month, but there is no empirical evidence of that from Nielsen NetRatings, which tracks Internet traffic. In the go-go ’90s, George ALLEN sat on the board of a Virginia tech company. Now, the company faces several class-action suits and an SEC insiders probe. The late 1990s were heady times for technology companies in Virginia. The future looked bright, and arguably nowhere more so than in Northern Virginia’s new technology corridor, where boxy, smoked-glass structures filled with well-capitalized startups sprouted by the dozens along the highway leading from Washington, D.C., to Washington Dulles International Airport. While California had Silicon Valley and New York had Silicon Alley, Virginia’s Fairfax County featured this stretch of buildings surrounded by dogwood trees and neatly clipped lawns -- a place where, at the time, it did not seem far-fetched that people might one day want to buy Borg-like wearable computers with a little screen they could flip down in front of one eye that would allow them to work hands-free. As Virginia’s governor until early 1998, George ALLEN did his best to help promote the state’s burgeoning technology sector, which was why his office sponsored a 15-day business-promotion trip in June 1997 through Germany, Denmark, the Netherlands, and Great Britain. Officials from the company that planned to one day sell those wearable, flip-screen computers -- the futuristically named XYBERNAUT Corp. -- came along in hopes of finding new business opportunities. XYBERNAUT had completed a successful initial public offering just a year earlier, and, by the end of the government-sponsored junket, ALLEN was able to announce that XYBERNAUT had licensed its technology to sbs Software Center in Germany to develop a hands-free unit in Europe. “The support given to XYBERNAUT by the Commonwealth, and especially Governor ALLEN, has greatly aided the rapid consummation of both manufacturing and software capabilities that we believe will allow XYBERNAUT and its ‘see-and-speak’ technology to dominate the computer marketplace,” Steven Newman, the company’s executive vice president, declared in one of many optimistic press releases. But today, as ALLEN runs for re-election to “the best board of directors in the world” and mulls a candidacy for the Republican presidential nomination in 2008 with the encouragement of conservative insiders, who see him as the affable heir to George W. Bush, troubling questions have emerged about his tenure on the XYBERNAUT board -- which didn’t turn out to be one of the best. XYBERNAUT filed for bankruptcy reorganization in July 2005, three months after an announcement by an audit committee of its board that an internal investigation -- established that February at the urging of a whistle-blowing company insider -- found that the firm’s chief executive officer and board chairman, former CIA agent Edward Newman, and his brother, president and chief operating officer Steven Newman, had “improperly used substantial company funds for personal expenses,” engaged in major unreported transactions, and hired family members whose roles with the company were not properly disclosed, in violation of its bylaws. Edward Newman’s attorney declined comment for this story, but Steven Newman predicted vindication in 2005 press reports. Unable to stand by its books in the wake of the audit committee’s revelations, XYBERNAUT in 2005 had to warn shareholders that its financial statements and disclosures dating to 2002 were unreliable. By February 2005, the Securities and Exchange Commission had already launched an investigation into sales of XYBERNAUT stock by company insiders, including some officers, though no complaint has yet been filed. (An SEC spokesman declined to comment on the matter.) The U.S. Attorney’s Office for the Eastern District of Virginia also reportedly opened an investigation into XYBERNAUT’s business activities in 2005, and shareholders filed multiple class-action lawsuits against the company and some of its officers and directors (those cases are now being consolidated in Virginia but are largely on hold until the resolution of the company’s bankruptcy case). There’s no evidence that ALLEN did anything illegal, and he has not been named in any of the shareholder suits, which post-date his tenure on the board. Yet XYBERNAUT clearly engaged in questionable activities -- and did plenty of business with questionable characters -- while ALLEN was a director with a responsibility to protect shareholders’ interests. XYBERNAUT’s rise, indeed, was driven by some of the financial industry’s seediest bottom-feeders -- questionable stock touters, offshore front groups involved in money laundering, and foreign financiers linked to short-selling, securities fraud, and, in 2005, the collapse of a major Wall Street brokerage firm. Driving XYBERNAUT upward as well were the determined efforts of its officers to promote and sell the company’s stock to unwitting small investors, even as the company’s fundamentals spiraled ever more out of control. It became clear that no market for its products would emerge. And Allen’s affiliation with the company should now raise questions about whether he deserves to retain his other seat -- the one on the best board of directors in the world. XYBERNAUT’s problems date as far back as its debut as a publicly traded company. Founded as Consumer Products & Services in 1990, the company changed its name to XYBERNAUT less than a month before its July 18, 1996, initial public offering (IPO) after merging with a Delaware-based company of that name. Signs of trouble were soon apparent. The brokerage company that underwrote XYBERNAUT’s IPO, Kensington Wells Inc., was targeted in a regulatory crackdown in 1997 and closed that year. That firm’s top executives were eventually sent to prison, following a series of felony convictions surrounding three unrelated IPOs involving schemes to inflate the value of the firms’ stock and launder profits back to themselves through front groups based in the Caribbean. In 2001, prosecutors in the Eastern District of New York extended their investigation to include Kensington’s role in the XYBERNAUT IPO. Former Kensington Wells president Elias Tacher is serving a nearly five-year term in a minimum-security prison in South Florida. The underwriting partner of Kensington Wells in the XYBERNAUT IPO, Long Island– based Royce Investment Group, encountered similar difficulties. Royce’s former chief executive and chairman, JOHN Marciano, remains free on $1.5 million bond and was in plea negotiations earlier this year with prosecutors from the U.S. Attorney’s Office for the Eastern District of New York on 15 counts of money laundering in a scheme involving XYBERNAUT stock. Royce has ceased operations. Marciano, who was working earlier this year at a Bentley car dealership on Long Island, has called the charges “baseless.” A trial is set for 2007. No XYBERNAUT officers or past or present board members have been named in the IPO securities manipulation and money-laundering cases, but those company officers, directors, friends, and family members awarded stock in the IPO deal benefited from the manipulations of Royce and Kensington Wells. By creating an artificial demand for the stock, the market makers drove up the price. And the company gained substantial financing that the market otherwise might not have provided. The IPO raised more than $13 million for the company. XYBERNAUT also saw some of its biggest boosters in the investment community nabbed by the long arm of legal and regulatory authorities years after their relationships with XYBERNAUT ended, in a kind of echo-boom of charges and cases that’s blossomed from the boom-era activity. Two former touters of XYBERNAUT stock have since been accused by the SEC of fraudulent activities relating to publicly- traded securities, though not XYBERNAUT. Christina S. Kohlhaas of CSK Securities gave XYBERNAUT a “strong buy” recommendation and was granted stock by XYBERNAUT in 1996 (before ALLEN joined the board). In 2002, she, as Christina Skousen and CSK Securities Research, were enjoined from further securities violations without admitting guilt as settlement of an SEC complaint charging her with writing several “fraudulent research reports” between 1999 and 2002. Meanwhile, Mark Bergman, a director of investor relations at XYBERNAUT during Allen’s board tenure, and a founder of financial public relations firm Access 1 Financial, was named in a 2002 SEC complaint as part of “a massive stock fraud in the NASDAQ Over-The-Counter securities market” for his work touting Environmental Solutions Inc., in what the SEC characterized as a stock “pump-and-dump” scam. 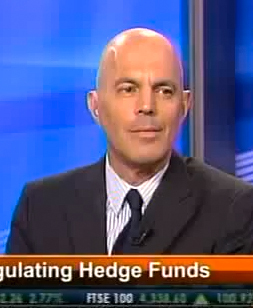 In early 2000, Bergman’s Access 1 Financial had also given XYBERNAUT a “strong buy” recommendation, Howard Kurtz recounts in The Fortune Tellers: Inside Wall Street’s Game of Money, Media, and Manipulation, and predicted the firm’s stock price “would double within six months.” XYBERNAUT boasted of the Access 1 “strong buy” recommendations in February, March, and April 2000. The stock zoomed more than 300 percent in value that year, peaking at $29.97 on March 2, 2000. The firm neglected to mention that Bergman wrote his reports for companies that paid him, and not as a credible financial analyst. Another promoter of the company’s stock, the Donner Corp., ran afoul of professional licensers earlier this year. Later renamed National Capital Securities Inc., the Donner Corp., its president, Jeffrey L. Baclet, and research analyst Vincent Michael Uberti were charged by the National Association of Securities Dealers (NASD) with issuing 25 reports between March 1999 and May 2002 that “contained fraudulent, exaggerated and unwarranted statements, and failed to include critical information about numerous companies’ financial and business operations,” according to an NASD release, and also for failing to disclose that Donner had been paid by 51 companies it was touting, including XYBERNAUT, to prepare positive statements. According to a 2006 NASD decision, two of the reports written by the company included a “speculative buy,” issued October 12, 1999, and a “buy” recommendation, issued January 24, 2000, on XYBERNAUT (during Allen’s tenure). The NASD ultimately expelled Donner from its ranks and barred Baclet and Uberti from participation in it. XYBERNAUT also failed to pay employee withholding taxes in 2000, leading the Internal Revenue Service to file a lien against the company for $1.13 million in back taxes in January 2004. Company president Steve Newman called the IRS complaint “absolutely without merit” that year. There were still further signs of trouble in the years after XYBERNAUT went public. The company wound up selling so much more stock than mobile computing devices that it ultimately became a joke in the business press, derided for its stock “printing press.” Its products never caught on, despite a marketing and advertising budget that grew to nearly $9 million by 2000. Between its founding in 1990 and 2005, the company sold only 10,000 mobile computers, according to The Washington Post, while racking up losses of $162 million, and issuing 200 million shares of stock. In September 1999 -- also during Allen’s board tenure -- the company’s accounting firm, PricewaterhouseCoopers, issued a dreaded “going concern” letter with a grim assessment of the company’s financial health. (A going concern letter is how accountants officially express substantial doubt about a company’s ability to continue in business.) But rather than heeding the warning, XYBERNAUT fired PricewaterhouseCoopers, replaced it with Grant Thornton LLP, and ramped up the pace of its stock sales. Starting in 2000, however, XYBERNAUT increasingly turned to a newly popular financial instrument to keep growing -- and going: so-called PIPE deals, short for “private investments in public equity.” In such deals, private investors are granted warrants or convertible debentures for stock at below-market rates in exchange for financing. All the investor has to do to make money is sell the stock. But some sleazy PIPE financiers go a step further by shorting the stock of the companies they finance, driving down share prices, diluting the shares of other investors, and even -- in a particularly egregious form of illegal short selling known as the “death spiral finance scheme” -- driving the company into bankruptcy through aggressive rounds of financing and short selling. Between March and November 2000, XYBERNAUT went from 1 percent to more than 15 percent owned by institutional investors who acquired their stock in the company through private deals, according to media reports. Several firms that financed XYBERNAUT during Allen’s tenure on its board, however, have since been linked to a complicated international network of troubled financers and brokers. For example, in April 1998, Balmore Funds SA and Liechtenstein-based Austost Anstalt Schaan signed a private placement deal with XYBERNAUT granting the firm up to $11 million. One of their registrations of stock for sale came April 4, 2000 -- shortly after the March price peak and a period of unusually high volume trading, which was followed by yet another “going concern letter,” in mid-March, and a decline in the stock price. The signatory for Austost Anstalt Schaan was Thomas Hackl, who was from 1991 to 2002 head of treasury at BAWAG, the fourth largest Austrian bank (itself somewhat controversial for losing millions in the financing of Yasir Arafat’s casino outside Jericho). TheStreet.com has linked BAWAG to Austost and also to the hedge fund Alpha Capital Aktiengesellschaft, which invested in XYBERNAUT in 2001. Last year Hackl became a major figure in the collapse of Wall Street brokerage the Refco Corp., where he was executive vice president, in an accounting scandal that wiped out more than $1 billion in shareholder value. Last fall, Time magazine also linked Austrian investor Thomas Badian -- for whom an arrest warrant (ultimately dropped) was issued in the United States in 2003, and who has been accused of playing a role in the “death spirals” of a host of other companies -- to Refco, through which he had been making some of his trades. Badian has been charged in the Southern District of New York with ordering the illegal short selling of the stock of software company Sedona by unknown offshore entities through his brokerage, Rhino Investments, in 2000 and 2001; Badian and Rhino agreed to pay civil penalties without admitting or denying the allegations. Badian has no apparent connection to XYBERNAUT. But a host of reporters and regulatory authorities are investigating the linkages between these brokers and funds -- as well as sources of their capital -- in the wake of the Refco collapse. Over the years, Balmore Funds and Austost Anstalt Schaan both invested in a surprisingly large number of the same companies, according to SEC records. In addition, former XYBERNAUT board member Phillip E. Pearce sat on the board of two of those other companies: Starbase, which drew financing from Balmore, and Imaging Diagnostic Systems Inc., of Plantation, Florida, which drew financing from both. Other entities that financed XYBERNAUT during Allen’s board tenure have since been charged with involvement in securities manipulation as well. David Sims signed XYBERNAUT’s pipe deal with Forest Ave. LLC in the Cayman Islands; he was charged in 2003 with illegal short selling. Despite the plethora of dubious characters surrounding XYBERNAUT, the true identity of many of the company’s financiers remains obscure. In the company’s heyday, its officers claimed to have the support of major Wall Street firms, but that was more hype. What SEC records show instead is that during the company’s 16-year history, it relied heavily on offshore firms for financing. And during Allen’s board tenure, it received the vast bulk of its money from outfits based in the most notorious havens for tax cheats and money launderers: the Turks and Caicos, the Cayman Islands, the British Virgin Islands, the Bahamas, Liechtenstein, and Israel. There’s no proof that ALLEN did anything for the company as senator. In addition, he never profited significantly from his board service. During his tenure on the board, ALLEN was granted 110,000 options of company stock that, at their peak, were worth $1.5 million, but he never exercised those options, which expired 90 days after he left the board, and made almost no money from the stock, according to his communications director, JOHN Reid. But three things seem clear. First, he did benefit in indirect ways from his association with the company: Allen’s law firm did work for XYBERNAUT while he was on the board, and its officers contributed to his campaigns. While ALLEN was serving on the XYBERNAUT board, he was also a partner at the prestigious Richmond-based law firm McGuire Woods LLP. In 1998 and 1999, the firm billed $315,925 to XYBERNAUT for legal work and was also granted 1,996 shares of stock in lieu of payment for services rendered. According to a disclosure form candidate ALLEN filed on May 12, 2000, he earned $450,000 from McGuire Woods from January 1999 through April 2000. During much of that time, the firm was doing work for XYBERNAUT. In addition, XYBERNAUT officers -- four directors, an advisory board member, the comptroller, and an officer’s wife -- donated a total of $10,750 to Friends of George ALLEN in 1999 and 2000. After XYBERNAUT retained McGuire Woods to handle its more current legal problems in May 2005, McGuire Woods staff donated $32,500 to Friends of George ALLEN that very month -- compared to $31,625 during Allen’s entire two-year 1999-2000 Senate campaign. Second, ALLEN helped XYBERNAUT stay politically well-connected and in the good graces of the Virginia technology community -- despite its increasingly questionable associations in the finance and investment world. On Election Day 2001, for example, losing Virginia Republican gubernatorial candidate Mark Earley chose to forgo the traditional Election Day rally or press conference in favor of a visit to Allen’s former firm. Earley attended -- and was photographed at -- a demonstration of XYBERNAUT’s technology at the company’s Fairfax headquarters. Joining him were ALLEN, outgoing Virginia Governor James Gilmore III, Senator JOHN Warner, and Congressman Frank Wolf, all Virginia Republicans. But if he had, Gilmore would have filled the part that ALLEN played before him, which brings us to the third conclusion about Allen’s relationship with XYBERNAUT. What sort of board was this -- and what sort of director was he -- to allow these shenanigans to go on while they were allegedly (as board directors are supposed to do) protecting the interests of the shareholders? Did ALLEN know that the company was selling far more stock than actual computer units? Was he aware of the reputations of the some of the firms that arranged financing? What did he know about the firing of PricewaterhouseCoopers after it had the audacity to tell the truth about the company’s financial health? Did he privately express any concern about the company’s actions? And how long did he continue to promote such an obviously shady operation? During the Great Depression, the late Supreme Court Justice William Douglas coined the term “financial gigolo” to describe someone with a prominent name who serves on a board of directors in order to add a veneer of respectability to a questionable enterprise. It’s a term of derision that could have found new meaning in dot-com boom era Virginia. © 2006 by The American Prospect, Inc.
Manuel Asensio Former President, Asensio & Co.
Asensio helped define "activist investor." Originally a Cuban refugee, the fiery fund manager launched vociferous short-selling campaigns between 1996 and 2003, using press releases and public statements to drive down overvalued tech and pharmaceutical companies like Winstar and Verisign. His pre-bubble pessimism helped Asensio benefit from the dot-com crash and made it one of the country's most notorious short sellers. Asensio's site claims that share prices of the 30 companies he shorted in those eight years declined an average of 87%. 26 February 25, 2011 Is the 46-year-old REFR Dream Finally Coming True? 22 October 29, 2007 After 42 years of Hype REFR resorts to recycling old promotional schemes. 19 April 7, 2006 Is REFR’s 41-year-old stock promotion finally finished? 18 April 7, 2006 How does a 41-year-old loser like REFR qualify as a going-concern? 16 December 20, 2001 REFR fails to address public concerns over record of questionable disclosures and transactions, reports Asensio & Co.
15 December 20, 2001 Asensio’s three (3) page letter to REFR dated November 15, 2001. 14 December 20, 2001 Asensio’s nine (9) page letter to REFR dated June 14, 2001. 13 December 11, 2001 Korean promotion shows how REFR deceives investors, reports Asensio & Company, Inc.
11 November 28, 2001 REFR joins Ailouros’ list of bogus penny-stock deals, reports Asensio & Company. 10 November 21, 2001 InspecTech TTF claims found misleading, reports Asensio &Company, Inc.
9 September 18, 2001 REFR’s stock promotion causes damaging capital misallocation, reports Asensio & Company, Inc.
8 September 11, 2001 REFR’s false ‘news’ story exposed, reports Asensio & Company, Inc.
7 September 6, 2001 REFR’s bogus patent promotion exposed, reports Asensio & Company, Inc.
6 August 24, 2001 REFR’s “short squeeze” is a myth, reports Asensio & Company, Inc.
5 August 24, 2001 REFR remains grossly overvalued, reports Asensio & Company, Inc.
4 August 22, 2001 REFR’s silly circus takes to the air, reports Asensio & Company, Inc.
3 July 12, 2001 REFR involved in yet another questionable deal. 2 June 18, 2001 REFR uses 12-year-old promotion in its supposedly new story, reports Asensio & Company. 1 June 15, 2001 REFR issues unsubstantiated future profit forecast. <!-- 404 — Fancy meeting you here! Don't panic, we'll get through this together. Let's explore our options here.